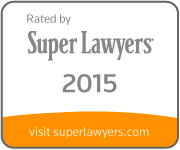 Englander Fischer LLP is proud to have two partners rated by Super Lawyers in 2015. The firm congratulates senior partner Leonard S. “Lenny” Englander on earning the prestigious title of “Super Lawyer” for the sixth consecutive year, as well as partner Courtney Fernald for making the Super Lawyers “Rising Stars” list for the fourth consecutive year. Mr. Englander is recognized for his work in business litigation. As a founding partner of Englander Fischer, he has 40 years experience representing commercial clients and high net worth individuals in all aspects of commercial and business disputes. Mrs. Fernald is recognized for her work in appellate law and business litigation. She has successfully handled a wide a variety of cases, from interlocutory appeals to commercial contract and lease disputes. Super Lawyers is a rating service of outstanding lawyers from more than 70 practice areas. Those given the title have attained a high level of peer recognition and personal achievement. No more than 5 percent of attorneys in a state are given the title of Super Lawyer and no more than 2.5 percent are named to the Rising Stars list.